Everyone relishes the chance to leave life’s pressures behind and escape to a place of peace and tranquility. Orchard Spa can take you a way to live your best life. 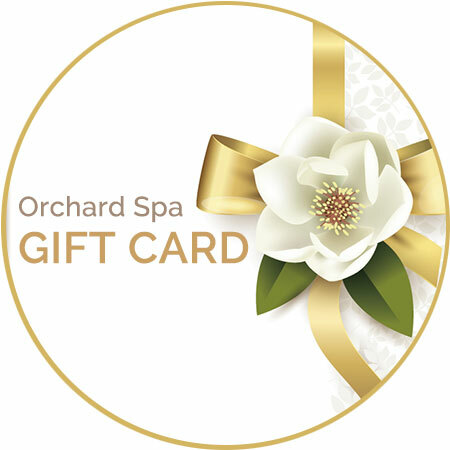 With the freedom to tailor your own experience or select from our range of signature in spa treatments, Orchard Spa Gift Card is a memorable gift to show someone you care. We thank you for choosing Orchard Spa and for giving us the pleasure of serving you. For your convenience, payment will through our secure online payment (Buy Gift Card Online) and it will be ready for collection or sent out to you or recipient by 24 hours express post anywhere within Australia. Please note that $10 applied for postage. Please leave your shipping details and we will arrange your spa package. Not to be used in conjunction with other promotions and discounts. Not exchangeable for cash or other services. Valid for 12 months from the date of approval.